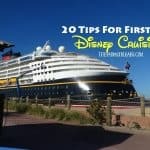 Why you should never take your teenager on a Disney cruise, but really should! You may find this hard to believe, but not everyone in our household is a Disney freak like I am. 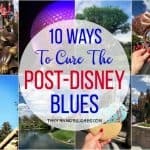 When I received the coveted invitation to attend this year’s Disney Social Media Moms Celebration, my teenage son rolled his eyes and said, “not Disney again”. This year’s conference was another land and sea adventure that included a stop at Walt Disney World and a high seas adventure aboard the Disney Dream. Yes, this crazy Disney mom has a son who is not the biggest fan of Walt Disney World. He claims that it is not that he doesn’t like it, but rather that we just visit there way too much. When I further explained to him that this trip would also entail a cruise on the Disney Dream, his ears perked up a little. 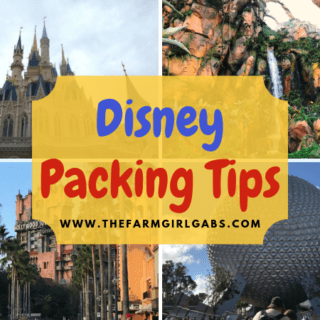 So we packed our bags (speaking of packing, be sure to check out the Disney Packing Lists resource page here on the blog for more helpful Disney packing tips) and set off for adventure. 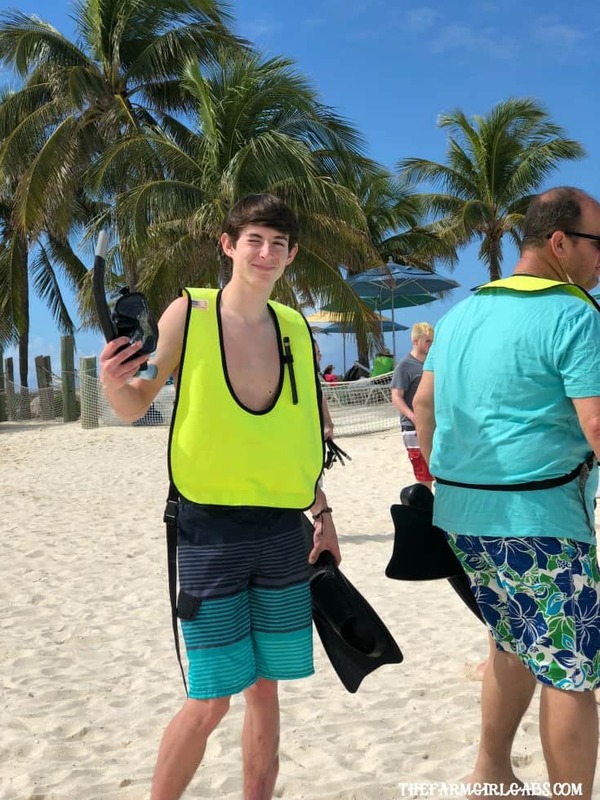 And when I added that the cruise would take us to the Bahamas, the one place he has asked us to take him on repeated occasions, my sometimes cranky teenager turned into a little kid jumping for joy. I’m the coolest mom in the world now….. If I recall correctly, cool teenage slang terms like “lit” and “Yolo” sprang from his mouth. 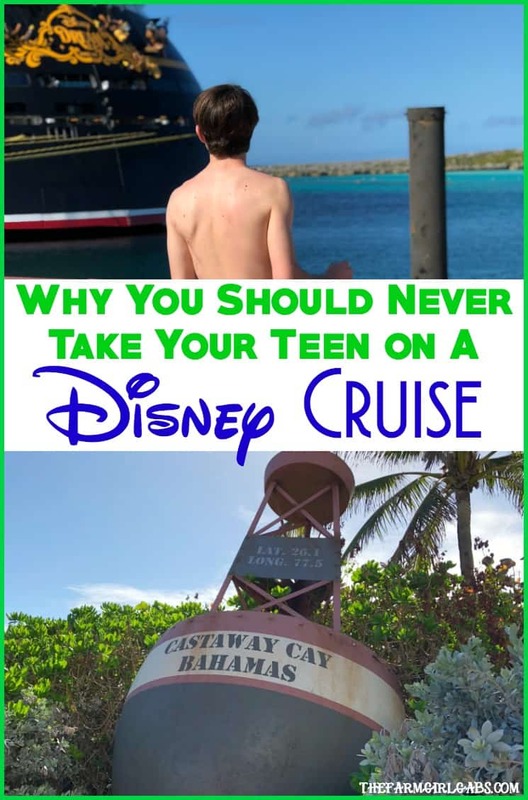 So here are a few reasons Why You Should Never Take Your Teenager On A Disney Cruise – but really should! Really, you should! …because when you board the ship, he will be in awe of the fact that we were personally greeted with a “Please welcome the Russo Family” over the loudspeaker. And people clapped for us too. …because he realized he could actually play basketball on the ship. …because he realized the Disney Dream has a club just for teenagers 14-17 called Vibe, and it is open until 1 a.m.
…because he made new friends that he is still chatting with on social media. …because our veranda room had an amazing view WITH A BALCONY. …because Mickey waffles are involved, need I say more? …because he can watch multiple showings of the hit movie, The Black Panther . …because there is all you can eat ice cream…and french fries…and pizza…and chicken fingers. …because he can cruise to cool locations around the world. …because you can book a port adventure to the Atlantis Aquaventure and he can tube through a shark tank. …because he can go parasailing on Castaway Cay. …because he can’t decide which onboard activity he wants to go to first. …because he can snorkel for the first time and see a sea turtle up close. …because he can let a smile escape and say “Thanks, Mom and Dad. That was an epic vacation.” <— That even included a hug. You see Disney has a way of bringing out the kid in all of us, even the cool teenagers. That’s part of the Disney magic. 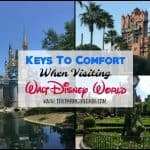 Whether it’s a Disney Cruise or one of the Disney Parks, the magic of Disney allows us all to let down our guard no matter what our age, “let it go ” and not worry about anything. To say that AJ had an amazing time is an understatement. His sometimes challenging teenage disposition disappeared. AJ is a great kid. But he is still a teenager and I myself remember those challenging years well. Like most teens, he is learning to navigate this crazy world in his own teenage way. But this Disney Cruise brought out the best in him. He talked, he laughed, he smiled. And we as a family made many happy memories we will cherish forever. So the answer to Why You Should Never Take Your Teenager On A Disney Cruise is you should, really should. 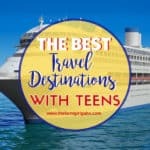 A Disney Cruise is perfect for kids of all ages – even teenagers! 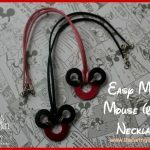 Planning a Disney Cruise? Be sure to check out these helpful planning posts below. 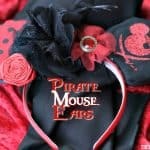 Disclosure: I was invited to attend the Disney Social Media Moms Land & Sea Celebration, which included a three-night cruise aboard the Disney Dream. Disney provided me with discounted conference admission, tickets, and lodging. Disney and its conference sponsors also provided me with additional gifts during the event. As always, all opinions are 100% my own. Ella did not tell me this happened- apparently she’s slipping up in her teenage daughter duties of … talking to her mother!! Looks dreamy! I completely agree! My teenage son is not a huge Disney fan anymore but he loves the Disney cruises! We are actually doing a Disney Cruise and going to Universal Studios to get the best of both worlds. Haha! I laughed at this post as my friend documented their entire cruise via video because of their two teen boys and their antics.